There is nothing like Chinese New Year to send my whole family into cookie baking frenzy. Most Chinese families will do a cookie baking marathon, churning out boxes and boxes of different kind of cookies. What is surprising to most is that we do this mainly for the enjoyment of our guests, though it is not a secret that most people bake extras for their own enjoyment. 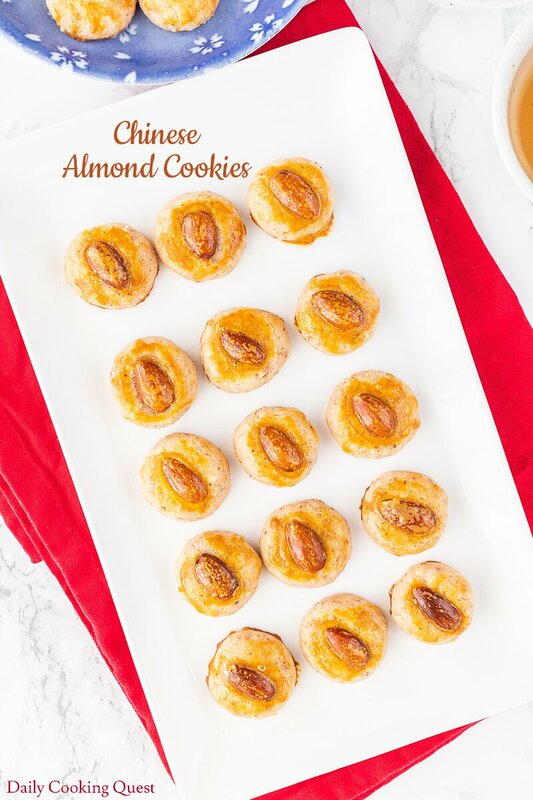 Among the top must bake in my house is this Chinese almond cookies, alongside other must-haves such as Chinese peanut cookies, nastar, and lapis legit (thousand layers cake). These are super easy and perfect for beginners, so even the kiddies should have no trouble helping Moms in the kitchen. Nowadays you can buy almond flour which is very fine pre-ground almond. Growing up, we don’t have such luxury of buying almond flour. Instead, we buy whole almond and grind them with a food processor. This hand-me-down recipe assumes that you will grind your own almonds. If you use almond flour, the cookie texture will be less rustic, which may or may not be a bad thing. 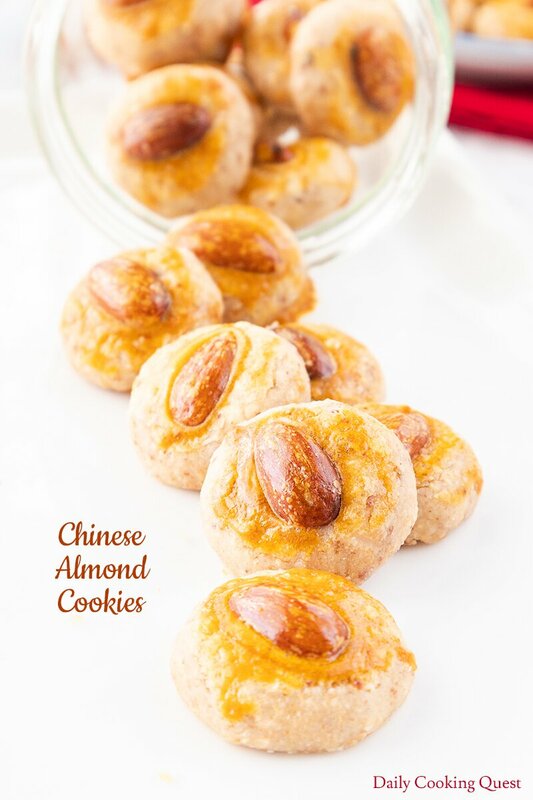 It should work, but know that it is different from what pass as Chinese almond cookies. 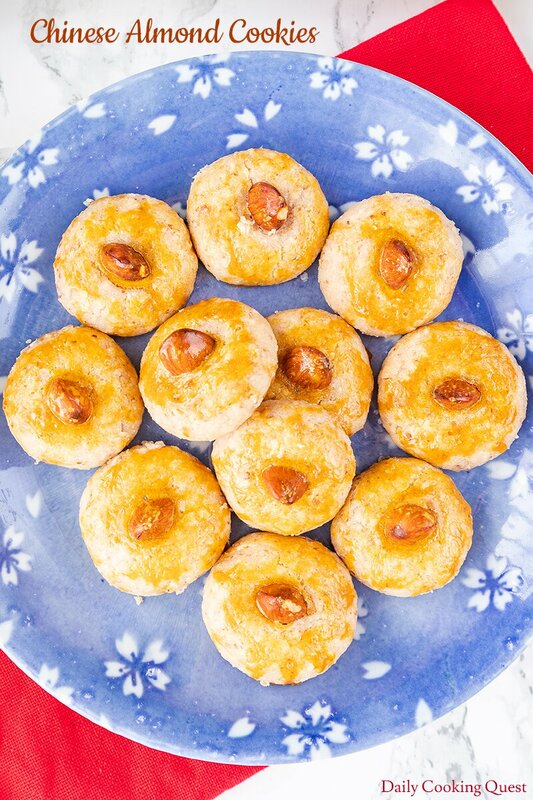 The most common oil to use when making Chinese almond cookies is peanut oil. If you cannot find this, feel free to use other neutral flavor oil, such as canola or even vegetable oil. Don’t use olive oil or coconut oil as these will impart their flavor to the cookies. If you are short on time, you can leave the cookies plain. Just shape them into round balls and brush with egg wash and pop them in the oven. But if you have just a bit more time and some extra whole almonds at hand, I highly suggest dressing them up by pressing one whole almond (or a half almond) on top of each cookie, then follow with egg brush before popping them in the oven. Personally, I always make sure I have extra almonds on hand when making these. Preheat oven to 180 Celsius (350 Fahrenheit). Line two baking sheets with parchment papers. In a mixing bowl, sift together all-purpose flour, baking powder, and baking soda. Add sugar, salt, and ground almond, mix well. Add oil, mix and form into cookie dough. Use a teaspoon to shape the dough into round balls. You should get about 55-60 cookies. Arrange the shaped cookies on prepared baking sheet. Brush the top of each cookie with an egg wash, then bake the cookies in preheated oven for 18-20 minutes. 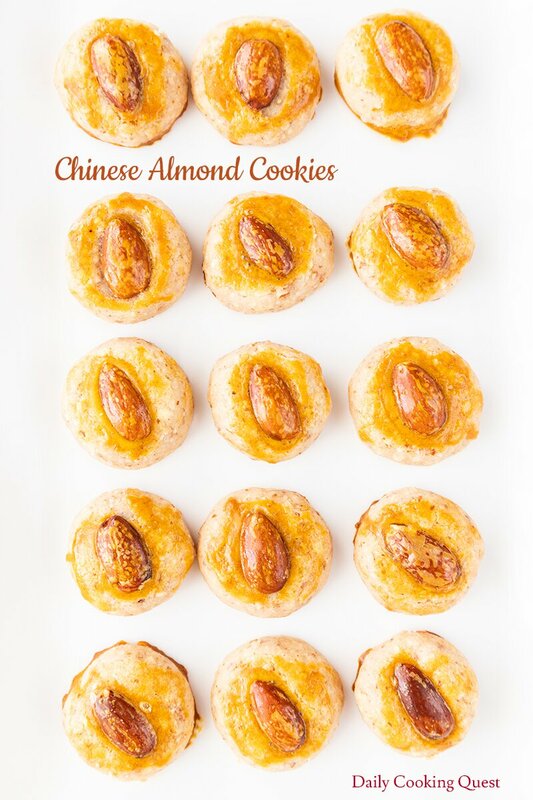 (*) You can use one whole almond to top each cookie. Or you can cut each whole almond into two halves and top each cookie with a half almond. 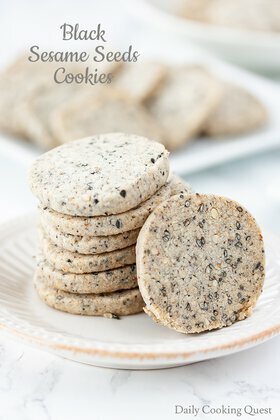 Love the use of Ground Almond in making these cookies. The Glaze to this cookies is amazing. These cookies look delicious and yummy. Love these almond cookies. Never thought about making them myself but now I can, Thanks. What great looking little cookies. 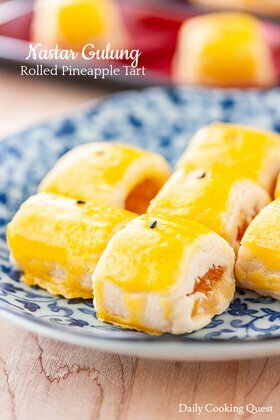 They look like the perfect Chinese treat. Can't wait to make them. These sound soooo great! Love the use of almond flour. 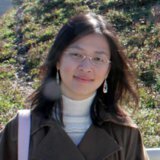 Perfect for the Chinese New Year! 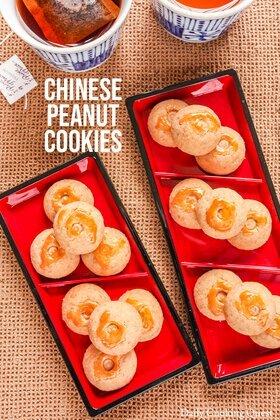 Definitely a favorite and one of the must have cookies for Chinese New Year. So tasty! 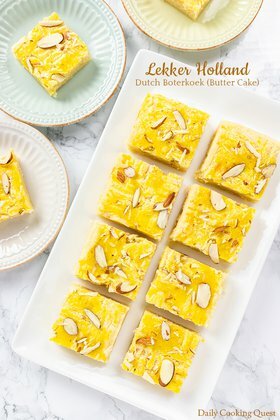 I had these at a party and have been looking for the recipe! Have fun with the recipe Shadi, hopefully they turn out exactly like the ones you had at your party.